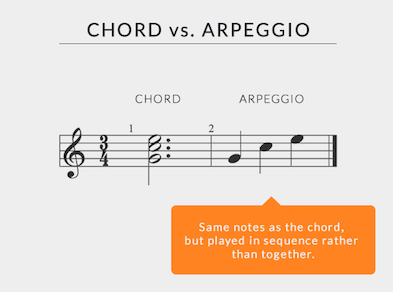 Getting Started: What is an Arpeggio? For example, a C major chord contains the notes C, E and G. Any combination of these three notes played consecutively can be regarded as a C major arpeggio. In the C major scale (CDEFGAB) the notes C, E and G are the 1st, 3rd and 5th notes of the scale. This gives us the chord and arpeggio formula 1 3 5. 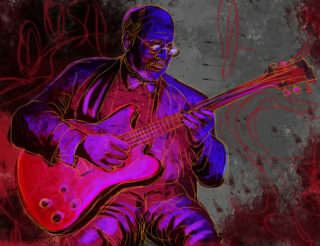 Guitarists use arpeggios extensively in certain music styles, such as neo-classical fusion (often referred to as “shred”), often employing the sweep-picking technique to perform them. Arpeggios are also an integral part of the jazz and classical vocabulary, but are represented in all genres of music. Guitar Arpeggios can be played alone or in combination with scale notes. Since arpeggios are chords in single note form, an arpeggio will always sound pleasing over its corresponding chord in the progression. As a result, they generally form the melodic ‘home bases’ and safe notes for improvising guitarists. They can also be used to outline the harmony during a solo guitar performance without the need of having someone play the accompanying chords. It’s important to switch to the next arpeggio every time the chord changes. I would recommend first learning the major triad (1 3 5) and the minor triad (1 b3 5) arpeggios, the most commonly used arpeggios in music. I suggest learning two patterns; one with the root on the E string and the other with the root on the A string. This makes transitioning from chord to chord easier without having to make big jumps across the fretboard. As an exercise, try to play a I-IV-V blues in A using just chord arpeggios (A7, D7 and E7, respectively). 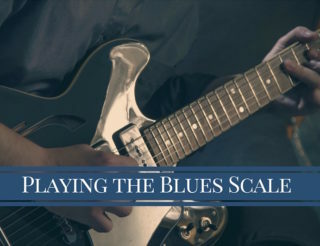 After training your ear to hear the chord tones, you’ll notice that you feel closer connected to the progression. Hopefully as a result, you’ll be able to play far more tasteful and musical ideas. 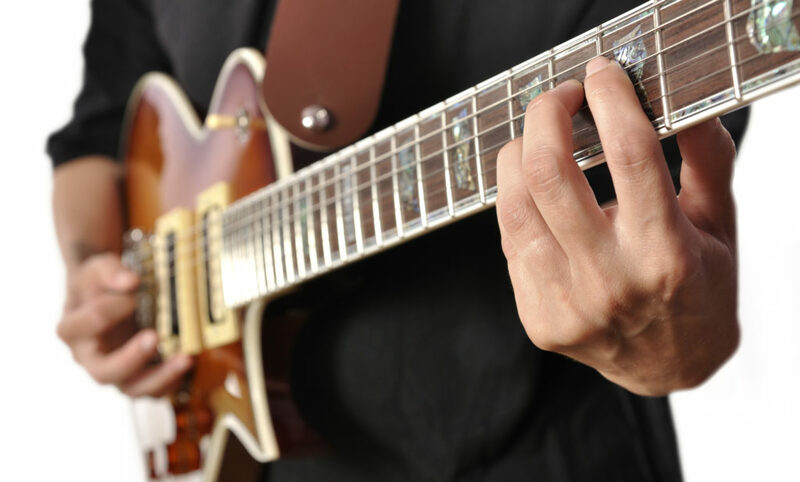 When analyzing and learning guitar solos from your favorite guitar players, you should look for their use of chord tones and how and where they’re played in relation to the chord progression. You’ll grow a lot faster as a guitar player as you become more familiar with the concept of “note choice” and thereby, melodic control. 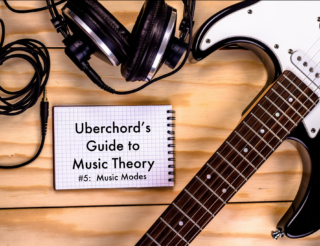 If you found this post helpful, you might also like to read “Music Theory for Beginners #2: Invervals” or “3 Ways to Simplify Barre Chords”.